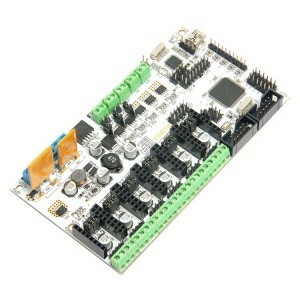 GTM32 is fully self-developed, open source control board by Geeetech for high-performance 3D printers. It keeps Geeetech’s uniformly optimized interface specifications, easy to assemble and with compact layout, high integration and high performance. 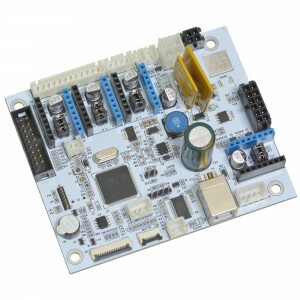 GTM32 control board (hereinafter referred to as the control board) adopts the current mainstream high-performance Cortex M3 core chip STM32F103, with its running frequency of up to 72MHz.The control board supports up to 6 stepper motors, namely, XYZ axial motors and 3 extruders. 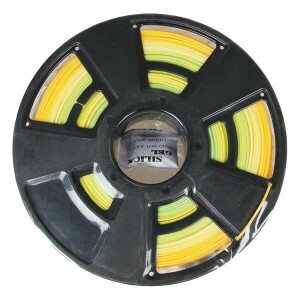 Users can replace the driving modules, such as A4988 and TMC2100 modules, according to their own needs. Besides, it employs the high performance USB serial chip FT232RL, which enables users to manipulate the control board via USB cable. Its output voltage is 12V. a. Adopting high-performance Cortex M3 core chip STM32F103, with its running frequency of up to 72MHz. b. Using high-performance USN serial chip FT232RL, manufactured by FTDI, compatible with Windows, OS X, Linux etc. mainstream operation system. c. The output voltage of GTM32 control board is 12V. 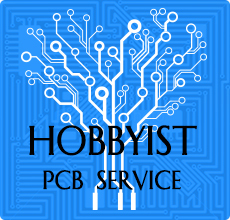 It is characterized by dual power supply design, powering up the hotbed and other electronic components respectively. The current for hotbed is 9A and 7A for other parts. d. The main circuit adopts in-line fuse, with overcurrent protection and reverse protection. The USB power supply interface has a restorable fuse, with its current at 500mA. 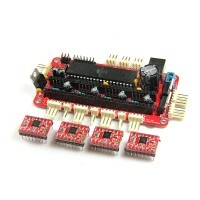 e. The control board features three interfaces for PWM fans. 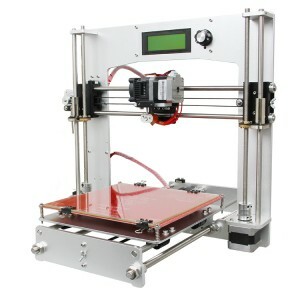 f. Supporting up to 4 stepper motors, namely, XYZ axial motor and an extruder. 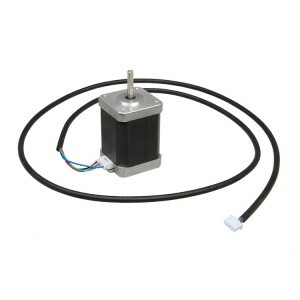 The common stepper motor drivers are A4988 and TMC2100. g. Dual temp sensor input: one for the extruder, the other for the hotbed. 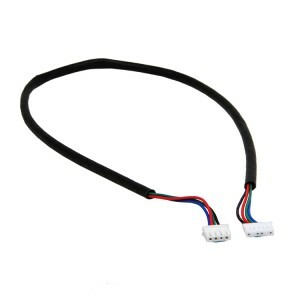 100K thermistor is recommended. 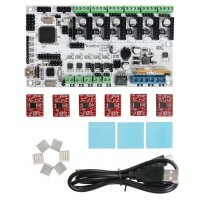 h. The control board comes with expansion interfaces for LCD display and SD card, supporting stand-alone printing. i. With a buzzer on board. 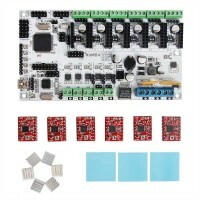 Can this board replace my gtm32 verA board? What are the differences between the GTM32 Pro vb and GTM32 Pro vd? I got the VD in my printer.... If it still testing, does it make sense ? Thanks for your response. I see that the vb has 6 drivers, and my vd has also 6.... Another question, I can confirm that TMC2208 working good on this board, but on X axis I just can't make it to work properly. Every time X home, it just disconnect and won't move. Any ideas? 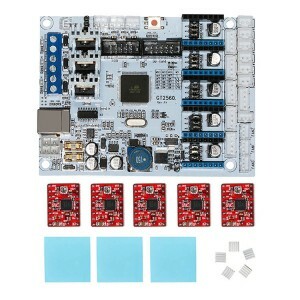 Hello, does this board support the TMC2208 drivers? Is the board 24V capable ? Bought 2 on separate orders paid $3,00 for tracking, shipped 7/11/2018. Both orders shipped with with the same tracking number LW047770205DE, unable to find with this tracking information. Looks like I wasted the $6.00 for tracking. Where is the package? 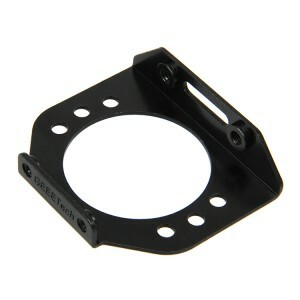 I want only LCD_2004_VB, where are it? Can I pull 5V off the controller to power Octoprint? What is the difference between the GTM32 Pro and GTM32 Pro vb? Hi James,NO big difference for the VA and VB ,VA have the SD card port and the wire connection is the different than VB, but the function is the same. Hi James, yes, it workable. How long is the ribbon cable? 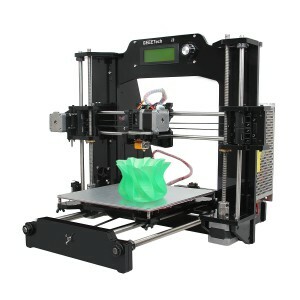 I am going to upgrade my older M201 printer to match the current model. Hello can u tell me which printer you use? Yes, it can add it. While setting up a printer, the connector on the screen broke. is it possible to get a replacement screen and cable?